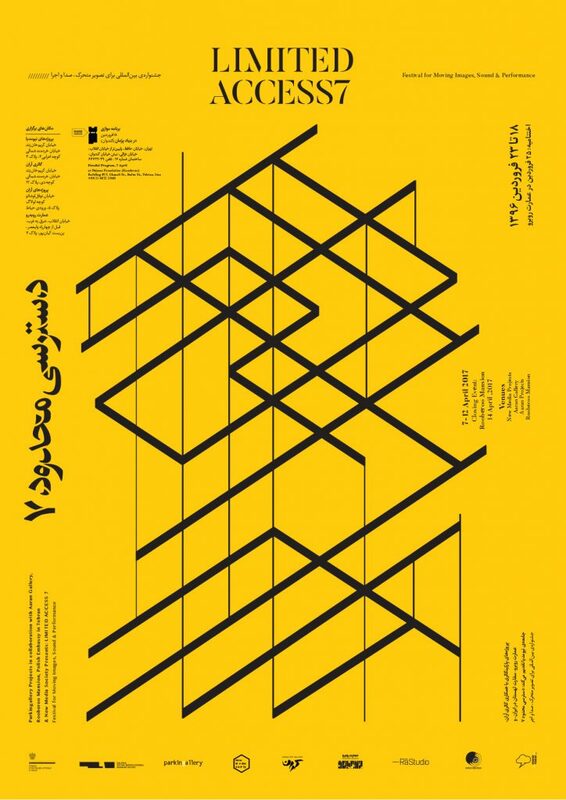 Ten years ago, a small project space in Tehran called Parkingallery, had founded an independent festival for video, sound and performance: Limited Access since 2007 have featured many prominent and upcoming artists from Iran and the world. The festival invites guest curators and collaborates with various institutions and archives in Berlin, Stockholm, Helsinki, Cairo, ljubljana, Paris, Toronto, San Francisco, Vienna, Montreal, Brussels, The Hague & Dublin in the past years to fulfill its mission to reduce the gap between various field and promote interdisciplinary practices. Limited Access 7, is organized by Parkingallery Projects in collaboration with Aaran art gallery, Rooberoo Mansion, Polish embassy in Tehran and New Media Society. Limited Access Forum, like the previous editions which featured program like Wandering Islands and Archipelago is a combination of newly discovered pieces with a glimpse of the archive at Parking video library. The International program at limited access 7 is curated by Rambod Vala, Leonie Roessler, Pooya Abbasian, Dafne Narvaez Berlfein & Magdalena Ziolkowska along with Curators Amirali Ghasemi, Helia Hamedani which bring a variety of emergent and returning subjects to debate in Spring Tehran this year, to mention a few the city and the politics, everyday life, Video-Essay, Screen as a theme in video, and special possibilities of sound. The program will run at three venues of the festival at Aaran Gallery & Rooberoo Mansion, while Aaran projects hosts a photographic presentation of the artists who push the boundaries of their practice examining new territories, toward time-based media and sculpture. New Media Projects will present 2 programs curated from Parking video library’s archive: Remote Homecoming, chapter 2 and Re-visit. In a parallel program, Pejman foundation screens Shattered frames curated by Sohrab Kashani. The program was initially premiered as part of The Iranian Film and Video Festival held during March 2016 in Pittsburgh and coming to Tehran for the first time. As a tradition of the festival, New Media Society has organized workshops, panels and talks in the course of the festival. Finally on Friday April 14th, Limited Access 7 ends its journey in 2017 by a closing events featuring sound & audio visual performances at Rooberoo Mansion.